Behind the bucolic image of antipodean farming lies a darker tale. Lobbyists who represented the Australian live sheep exporters at the centre of a national scandal over the deaths of thousands of animals in appalling conditions are now working to reduce welfare standards on meat imports to the UK after Brexit. Liam Fox, the secretary of state for International Trade, is keen to do a deal with Australia. He announced a bilateral trade working group with Australia two years ago (September 2016). Jason Strong, the chairman of the taskforce, argues that Brexit is a “once in a generation” opportunity to undermine the “restrictive” EU market. He said industry wanted to export the “lowest potential value item in a burnt goat head” to Britain after it leaves the trading block. Mr Strong’s taskforce was set up by Red Meat Advisory Council (RMAC) which includes LiveCorp - a live exports industry association funded through statutory levies - among its most important “service providers”. LiveCorp in turn has loyally represented Emanuel Exports - which has been gripped by scandals about the welfare of the animals for decades. Graham Daws, when managing director of Emanuel Exports, apologised after a video was released by an employee showing the suffering on board a huge shipment where more than 2,400 sheep died of heat stress while being exported to the Middle East in August 2017. He stepped down as a director of Emanuel Exports just two months ago as his companies remained mired in controversy. The video footage - shot during a voyage in which 2,400 sheep died of heat stress - was filmed by the trainee navigator Faisal Ullah and released through the advocacy group Animals Australia. It was shown on Channel Nine’s 60 Minutes programme. Some months later, Narelle Clegg, the animal export lead at the Australian Agriculture Department, ruled there had been no breaches on the Awassi Express chartered by Emanuel Exports. Just last week, the Australian federal government gave the go ahead for Kuwait Livestock Transport and Trading to transport live sheep to the middle east. The company is, according to the Guardian, linked to Emanual Exports. Graham Daws and then fellow director Michael Stanton were charged with animal cruelty after 1,000 sheep died on aboard the MV Al Kuwait headed to the Middle East in November 2003. 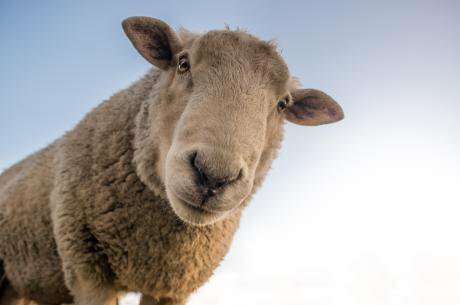 The magistrate found “elements of the offence of cruelty to sheep, in the way of transport, were proven” but the case failed when the magistrate ruled that the WA Animal Welfare Act conflicted with Commonwealth law. Emanuel Exports, and related companies EMS Rural Exports and International Livestock Exports, has been responsible for 37 shipments during which more than 1,000 sheep have died since 2005, according to animal rights campaigners Animals Australia. Further, Strong is quoted on the taskforce website stating: “There are two components in any formal negotiations for Australia – one is volume and the other is the type of product and how we get it into market. The EU and UK Red Meat Market Access Taskforce is also backed by Meat and Livestock Australia, which is keen to challenge EU quotas regulation of meat imported to the UK after Brexit. Andrew McCallum, representing the MLAT, has said: “Brexit provides an unprecedented opportunity for the Australian red meat industry to enhance its trading relationship with the UK…. a more liberalised UK import regime than is currently in place, would deliver substantial advantages...to the Australian red meat industry. Johnson in his article referenced Shanker Singham, the director of the International Trade and Competition Unit at the free market Institute of Economic Affairs and made heavy use of the think tank’s Plan A+ report. This report amplified many of the concerns and complaints of the Australian livestock industry. Singham argued strongly in favour of a bilateral trade agreement with Australia and also for the UK to join the Comprehensive and Progressive Agreement for Trans- Pacific Partnership (CPTPP) trading block, which includes Australia. Singham favours more liberal trade deals and attacked European Union environmental regulations as “disguised methods of protectionism”. He said the US has complained bitterly about EU rules in goods and agri-food. “The same is true of other big agricultural exporters like Australia, New Zealand and many of the CPTPP countries.” He advised that the UK must not “remained tied to the EU regulatory system” but instead “meet CPTPP members’ approaches to good regulatory practice”. If the UK government were to follow Singham’s advice it would sign free trade agreements that would “allow companies from each party, in as many sectors as possible, to export according to their own country’s regulations and standards, which would then be recognised by the other country.” This would allow Australia to import meat to the UK treated with hormones. Indeed, Singham argued that the UK had violated WTO rules in relation to hormone treated meat from Canada and the US. Singham’s comments about reducing regulation for India includes the entire shopping list drawn up by the Australian sheep export industry. He said: “The UK will need to provide much greater market access to India’s agricultural produce. This means reducing tariffs, but critically means reducing the regulatory barriers derived from the SPS [sanitary and phytosanitary] and TBT [technical barriers to trade] rules in the European acquis. A trustee and donor to the think tank, Michael Hintze, is “one of Australia’s biggest landholders and a major investor in Australian farming, including beef cattle”, according to Private Eye. Hintze has also given £4 million to the Conservative Party, and £100,000 to the Leave campaign. He is also a close friend of Liam Fox, the Secretary of State for International Trade, Private Eye reports. Kierra Box, Brexit campaigner at Friends of the Earth, told openDemocracy: “Ministers were queueing up at this year’s Conservative party conference to champion UK standards on animal welfare, food production and consumer goods, promising the public that we can rest assured none of the standards that support our environment will be bargained away in pursuit of these deals.